Look back at everything we’ve done together in support of Hillary Clinton for President. December 2, 2015 – AAPI for Hillary event in Washington, D.C.
February 27, 2016 – Hillary wins South Carolina! February 29 – Chinese Americans for Hillary launches Facebook page. March 1 – Hillary wins Alabama, Arkansas, Georgia, Massachusetts, Tennessee, Texas, Virginia, and American Samoa! March 5 – Hillary wins Louisiana! March 8 – Hillary wins Mississippi! March 12 – Hillary wins Northern Mariana Islands! March 15 – Hillary sweeps all five contests today: Florida, Illinois, Missouri, North Carolina, and Ohio! March 24 – Hillary wins Arizona! April 19 – Hillary wins New York! April 26 – Hillary wins Connecticut, Delaware, Maryland, and Pennsylvania! May 8 – Hillary wins Guam! May 17 – Hillary wins Kentucky! 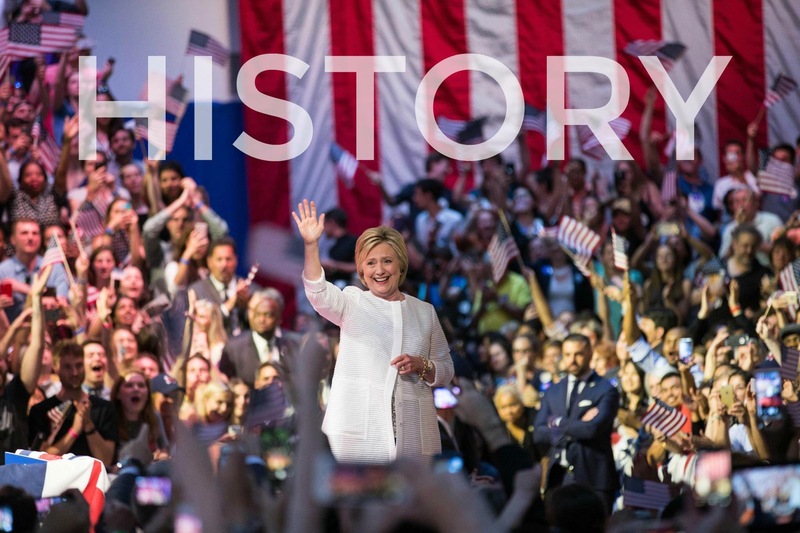 June 4 – Hillary wins U.S. Virgin Islands! June 5 – Hillary wins Puerto Rico! June 7 – Hillary wins New Jersey, California, New Mexico, and South Dakota! July 28 – Hillary Clinton becomes the Democratic Party Nominee for President of the United States of America. November 8, 2016: Hillary Clinton wins the popular vote, but concedes the Electoral College vote to Donald Trump.